I’m Raj, a content designer and one of the founding members of SomeBrightSpark. I am also a British Sikh man of Punjabi descent. I’m proud of being Punjabi and belonging to the Sikh religion as it’s my heritage and is part of what makes me who I am. My grandfather arrived from India in 1956 and worked at Dunlop in Leicester up until his retirement in 1982. Today we are now three big families, well established in this country, and we all feel part of this melting pot. That’s how I’d describe SomeBrightSpark. We are a melting pot of ages, skills, genders, cultures, theologies and heritages. We all bring something unique to work with us every day, which enables us to create work of rich variety. We also share something that is more important today than ever… knowledge about each other and our varied backgrounds. But I still think we can always do more and that we should be actively encouraging and celebrating our diversity outside of the business. So, when I had a chance to offer our support in partnering a new, locally produced publication chronicling Sikh history from the 1700s – 1800s, I was eager to drive this forward. 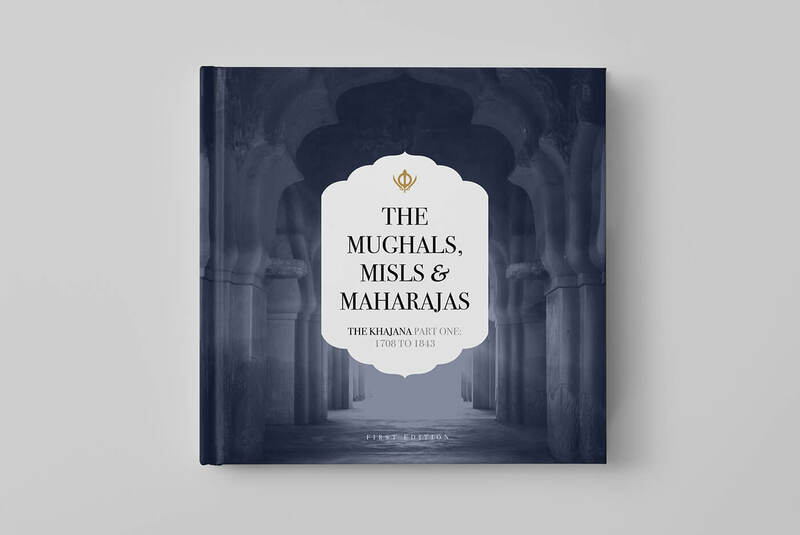 Mughals, Misls and Maharajas, the first book of a series that is part of a Sikh Heritage project called The Khajana (Safe or place to keep treasured possessions). The Sikh religion was created by Guru Nanak Dev and honed over a period spanning from 1469-1708. A period of Indian/Punjabi history that was rife with slaughter and turmoil but the period just after the passing of Guru Gobind Singh (our tenth Guru) was no less fraught in Punjabi and Sikh history. It’s this historically significant period that the book covers. From the last days of the Mughal Raj, the rise of the Sikh Misls (Kingdoms) to the earliest inception of the East India Company and the beginnings of British activity in the Indian sub-continent. Being a second-generation Sikh living in the UK, I am fully aware of the history that Sikhs have shared with the British. The Army of the British Empire consisted of a large contingent of Sikh soldiers and I recently found out that one of my ancestors was killed in action whilst fighting for the British in Kenya. I have often been surprised by a pensioner who stops me and says brightly ‘Sat Siri Akaal!’ the traditional Sikh greeting and I realise that he must have served with Sikhs in the Army. These kinds of experiences are really special to me, because they remind me that, although the Sikhs’ link with the British hasn’t always been good, it’s individual relationships between people that make the difference. This is why, at SomeBrightSpark, we like to seek out the people who can add to our unique blend of backgrounds and cultures to ensure we stay relevant and reflective in everything we create. For our work to truly mean something it has to come from people who believe they can change worlds.